January is here and winter is in full swing but there are still a few things to keep in mind to keep it looking good. Most pests will be inactive in the colder months, but it’s still worth checking for snails etc in sheltered places, such as empty pots in the cold frame or greenhouse. Be sure your gutters and downpipes are free of debris. A build up caused by clogged gutters during a rainstorm is the worst way to discover a problem that could have easily been avoided. Disconnect your hoses and drain them before storing. Water expands when it freezes, which can affect your outdoor tap, cause potential flooding and damage most non-industrial hoses. Also, be sure to shut off the water to outside taps, if they are not “frost free,” to protect your pipes. Hopefully, the worst of the weather has passed and now is a great time to fix those fences and start to plan any construction ideas you may have. Fencing, Decking, Raised Borders, Pergolas, etc can be undertaken by ourselves. Maybe you need ideas and advice? Please feel free to Contact us and ask. If you would like a fine finish to your lawn then it may still need a cut. I know this sounds crazy in January but due to a very mild winter so far, grass in still growing. This should be kept to a minimum, however, to avoid compacting and damaging the structure of the soil. This is especially important for clay soil. Keep your lawn clear of leaves and other debris. Leaves left on your lawn for extended periods can smother your grass, so “clean” your lawn and allow the daylight to encourage root growth in the turf. It is still very important to remove perennial weeds as these will be difficult to control until the lawn is established. Worm bins kept outside need to be well-insulated to help the worms survive winter conditions. Reduce feeding in cold weather, as the worms will not consume very much at this time. 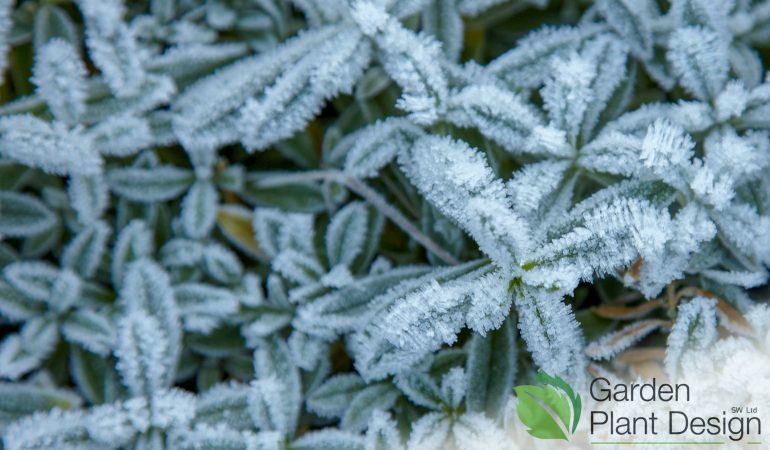 Protect bare soil during the winter months. Use autumn leaves as a mulch (cover) during winter weather. If necessary, cover with netting or fleece to prevent wind blowing everything away. Continue to collect fallen autumn leaves to make leafmould. Pile them in large bin bags or heaps, keeping them damp. Mist the underside of leaves to keep humidity high. This deters red spider mite.